Our team here at Wings of Eagles Discovery Center would like to alert you to a game changing event that will be “launching” today from the Kennedy Space Center. Perched atop a Delta IV rocket, Americas largest heavy lift rocket, the Orion spacecraft will launch into high earth orbit, circle the globe on several orbits and return through the atmosphere to splash down in the Pacific Ocean. This will be a full systems check and dress rehearsal for future manned launches ultimately designed to send Astronauts to Mars and beyond. The launch will test the re-entry heat shield, onboard life support systems and the launch safety protocols. 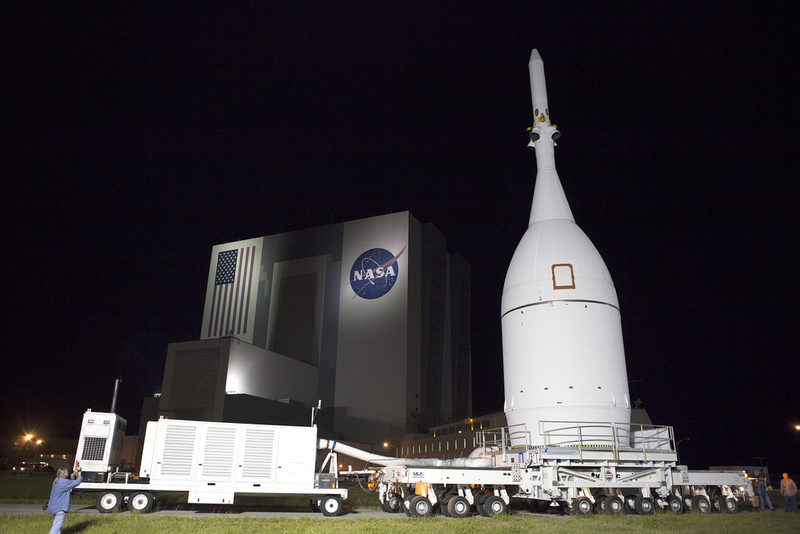 Orion is scheduled to launch at 7:05 AM EST from launch complex 37 at Kennedy and will climb to an altitude of 3,500 miles or 15 times higher than the orbit of the International Space Station. US Navy ships will be at the splash down area 600 miles west of Baja California for recovery operations. We can all watch the launch and the full two hour mission live here: http://www.nasa.gov/multimedia/nasatv/ starting at 6:00 AM EST.